In the meeting with Uhuru Kenyatta in Mombasa, Uganda's evergreen president had his suit on. All know that the coast can get very hot, but we never know, maybe M7 had a plan. 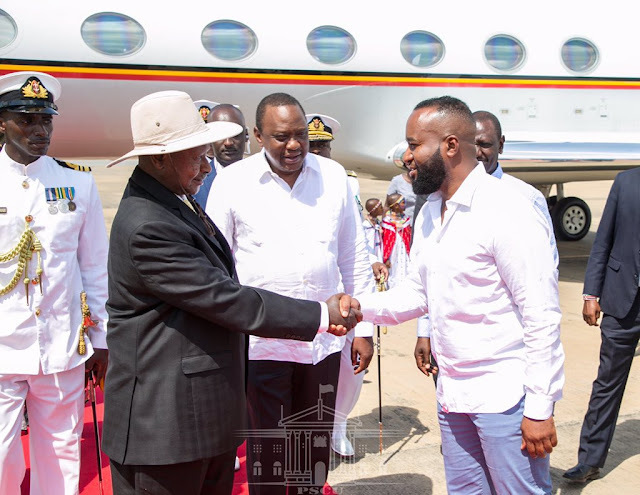 In a tweet shared by Governor Hassan Joho, a photo of M7, President Kenyatta and Joho is seen. Both Kenyans are in bright color shirts while Museveni is warmly tucked in his expensive suit. It is my privilege and that of County 001 to host Ugandan President Yoweri Kaguta Museveni.